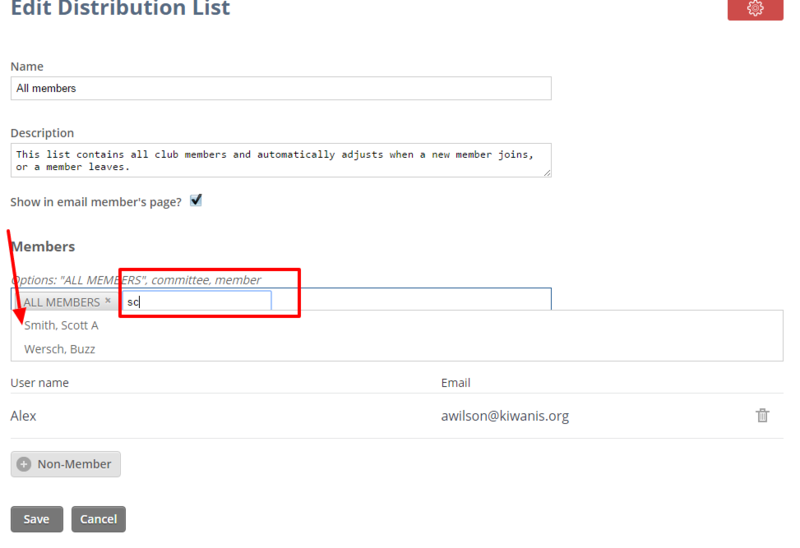 Distribution lists allow you to quickly send emails and newsletters to groups of members and non-members. Through this function you have the option of sharing distribution lists with members or keeping them private. Note: Distribution lists reside in the newsletter function. Once you click the Distribution lists button you will be on the Newsletter Distribution Lists page. Distributions list can be accessed through the Email function or the Newsletter function by clicking either icon in the left menu. Click the red Administration icon and select Create List. 5. Click the Create button to create your list. Note: You new distribution list will show on the Distribution list page. Access the list by clicking the Email or Newsletter icon and then clicking the Distribution lists button.